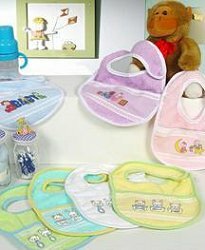 Manufactured in Brazil by Dohler S.A., these bibs are of the highest quality 100% cotton loop terry cloth. Dohler has been manufacturing towels for more than 30 years which translates into top-quality merchandise for stitchers all over the world. The product colors are amazing and modern! In addition to the traditional white, pink and blue, Dohler has provided lime and yellow. 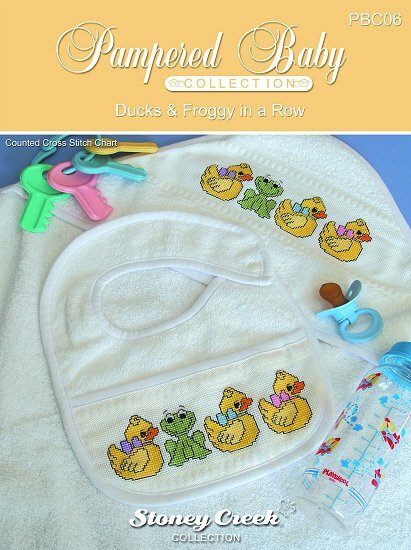 Each bib measures 8.5" x 10" with a 2.13" 14ct Aida insert and a snap closure. Perfect for a baby shower gift! 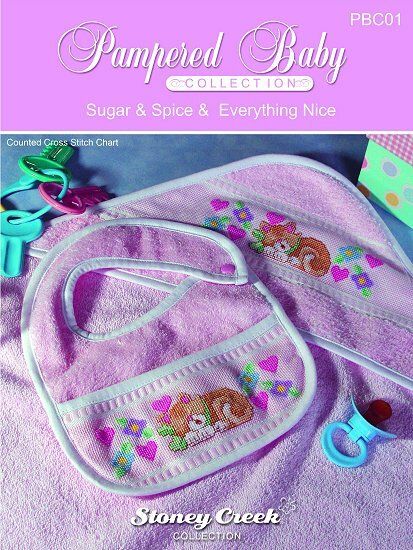 *Please note that these bibs are being discontinued, white, blue and pink are no longer available. The other colors (yellow and lime) are still available.